Our most popular Britain tour offers you the best of this great land. You’ll have amazing experiences and see the fascinating sights as you travel from London to Edinburgh and back to London. History buffs will be delighted in seeing mysterious, prehistoric Stonehenge (just imagine how these stones got there! ); the Roman Baths in Bath, constructed around 70 AD and today one of the best preserved Roman remains in the world; medieval market town of Ludlow, perched on a cliff above the river Teme; Edinburgh, home to many Scottish monarchs, including Queen Margaret, who died here in 1093; and York, England’s most complete medieval city with its cobbled streets and the magnificent York Minister. Literary fans will enjoy visiting Shakespeare’s birthplace in Stratford-upon-Avon; Abbotsford House, home of Sir Walter Scott; Grasmere, home to William Wordsworth. But that’s not all…Globus has also arranged special, out-of-the-ordinary experiences for you. You’ll enjoy Grasmere gingerbread, invented in 1856 in the English Lake District, and a whisky tasting in Gretna Green. From the historical sights to the beautiful scenery to the special experiences, this Britain tour is a great way to sample what Britain has to offer! Then, at the conclusion of your Britain tour, you’ll travel via high-speed Eurostar train to Paris for three nights. 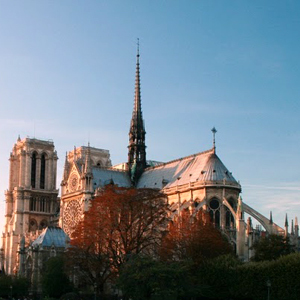 A relaxing cruise of the River Seine with views of Notre Dame Cathedral is also included. Also enjoy time to explore Paris on your own. All services in Paris, including Local Host assistance, are provided by Globus. Day 4 Bath – Ludlow – Llangollen, Wales – Liverpool, England. Day 8 York – Stratford - Upon - Avon – London.